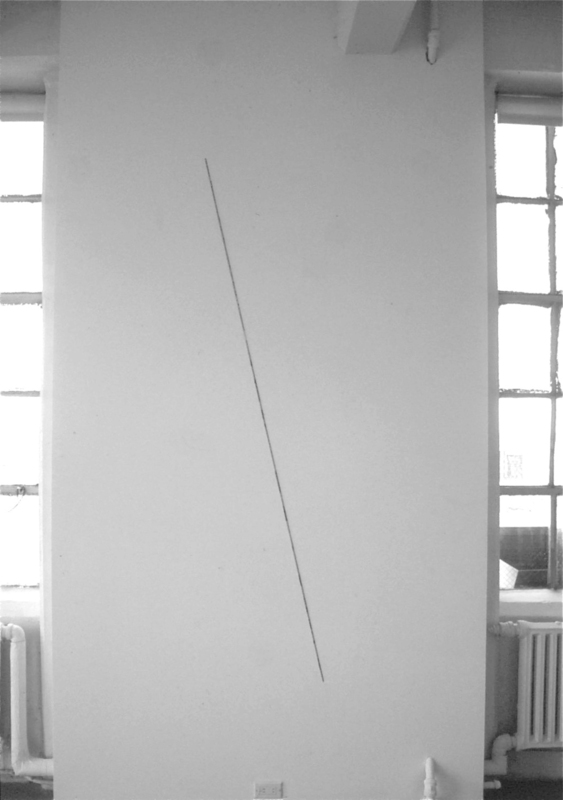 Fred Sandback: Recent Sculpture. Lawrence Markey Gallery, New York. June 2–July 14, 1995. Drawing the Line. Southampton City Art Gallery. January 13–March 5, 1995. Traveled to: Manchester City Art Galleries, Manchester, March 18 –April 30, 1995; Ferens Art Gallery, Kingston-upon-Hull, May 13–June 25, 1995; Whitechapel Art Gallery, London, July 7–September 10, 1995. Drawings from a Private Collection. Nolan/Eckman Gallery, New York. January 14–February 18, 1995. Stanley Brouwn, Hans-Peter Feldmann, François Morellet, Fred Sandback. Liliane & Michel Durand-Dessert, Paris. January 14–March 4, 1995. Arbeiten auf Papier. Galerie Jürgen Becker, Hamburg. Opened February 3, 1995. Quel est le rapport entre l’art concret et les objets usuels de la tradition paysanne provençale? Espace de l’Art Concret, Mouans-Sartoux, France. March–June 1995. Learn to Read Art: Selected Bookworks, 1965–1995. Galerie Hubert Winter, Vienna. March 2–April 22, 1995. Die Sammlung Marzona: Arte Povera, Minimal Art, Concept Art, Land Art. Palais Liechtenstein, Museum moderner Kunst Stiftung Ludwig, Vienna. June 14–September 17, 1995. One Vocabulary: Its Permutations and the Possibilities Therefrom. Part Two: Eadweard Muybridge, Fred Sandback. Barbara Krakow Gallery, Boston. September 16–October 25, 1995.